A Liberal's Libretto: "It's beginning to look a lot like ..."
"It's beginning to look a lot like ..."
Ladies and Gents - it's that time - the 2012 gift buying season is upon us. And, if you're as busy as Team Newman is around the Holidays, I know you're starting to have that feeling of panic ... when will you have time to shop? How much Emergen-C and Airborne will you have to take to battle the crowds? And, by "Emergen-C" and "Airborne", I clearly mean: How many Hot Toddies will you need to battle the crowds? Well, listen-up Friends ... I've made your shopping experience a little easier. All you need to do is to click over to my newest Pinterest Board to find some easily accessible gift ideas. Indeed ... from the COACH Bleecker Leather Saddle Tote / COACH Bleecker Double Zip Travel Organizer and BOSE SoundLink Wireless Mobile Speaker to TOM FORD's Noir fragrance for men and a copy of the MET's documentary Wagner’s Dream, my 2012 Holiday Gift Guide is full of things that are sure to make your loved one feel like you've taken the old "thought that counts" adage to heart - in the best way possible. 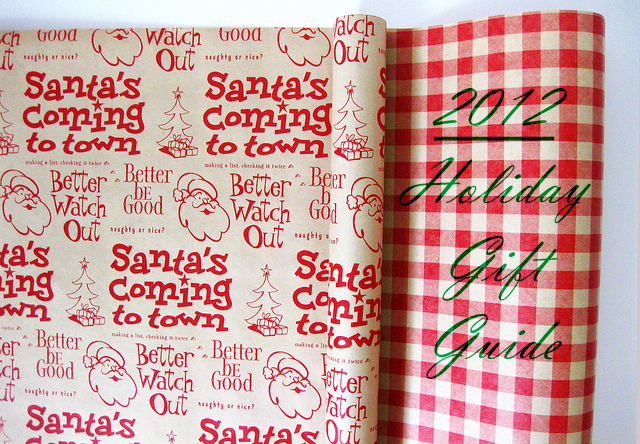 Make sure to check back often because I will be adding to the 2012 Holiday Gift Guide throughout this Holiday buying season. When I see something that I think is a great find, I'll "pin it". Hmmm ... you never know what might pop up!